I don’t have a sweet tooth, despite being a complete chocolate-lover as a kid. I really think I ate so much of the stuff back in the day that it doesn’t really do it for me any more. Up until a year ago I could take or leave chai. As a coffee lover I often don’t have time for tea. But after discovering some amazing chai tea leaves, rather than the awful powdery stuff favoured by some cafes, I am a chai convert. 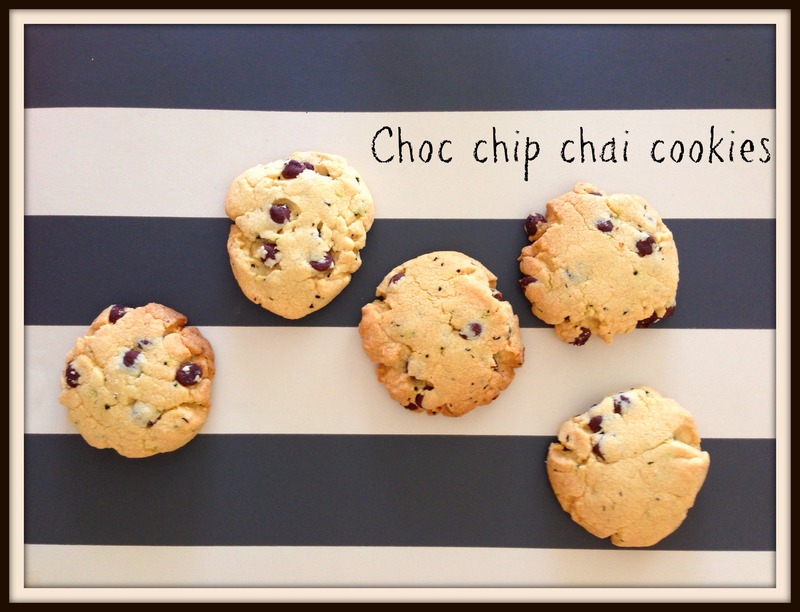 Another reason for my love of chai: it melds so well with butter, sugar and flour. 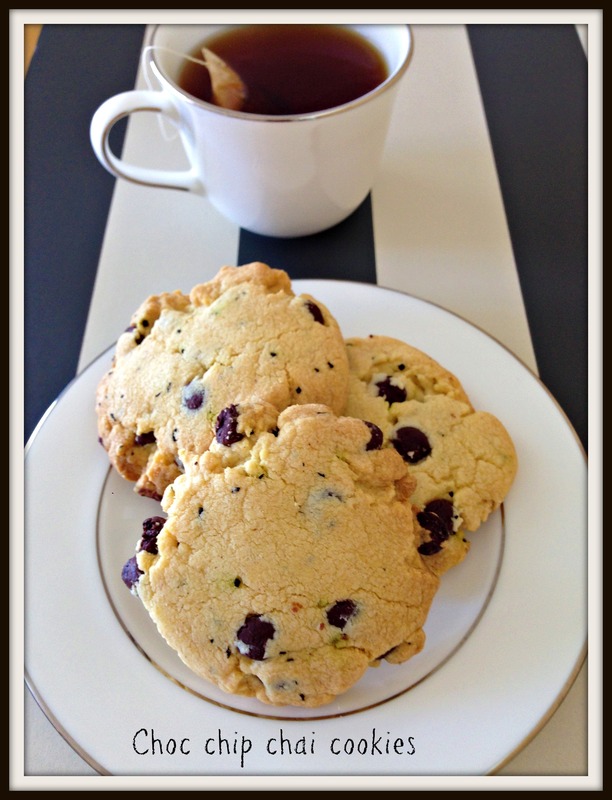 It is the perfect pairing for many baked goods, as it adds a lovely depth and flavour. Need proof / inspiration? 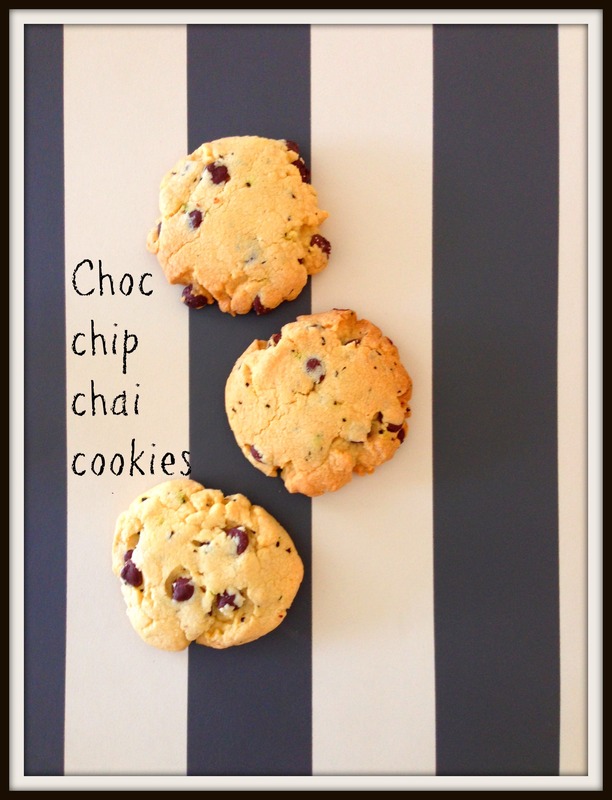 I recently had the idea of mixing chai with chocolate and my recipe for chocolate chip chai cookies was born. The tea leaves and the dark chocolate are just made for one another, and the ginger creates a warmth that you will love. Miss9 took over the making of these bickies! They are large and rustic – next time I would probably make them a bit smaller. 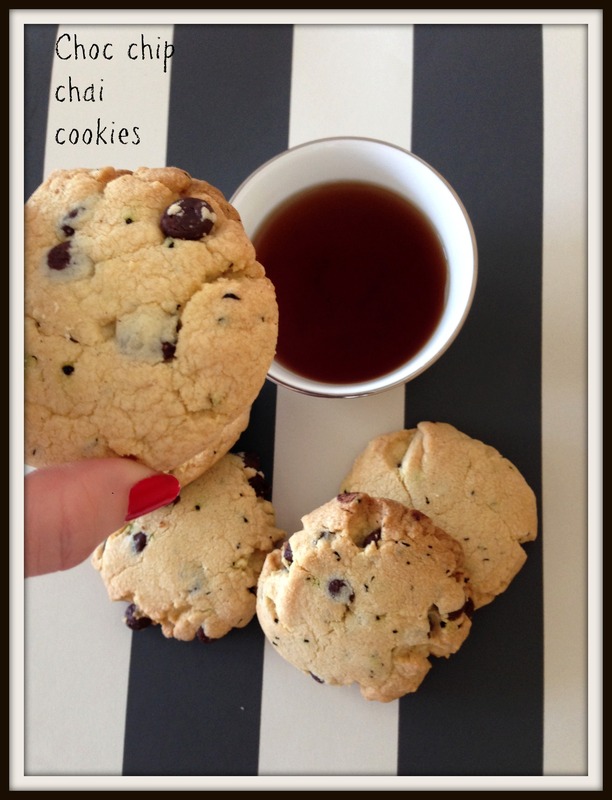 Either way, these choc chip chai cookies taste amazing. I was inspired by a recipe from the Australian Women’s Weekly called basic vanilla biscuits. Preheat oven to 170C and grease and line a baking sheet with non-stick paper. In bowl of electric mixer beat the sugar, butter, egg and vanilla together until creamy and smooth. Stir in flour, bicarb, cinnamon, ginger and chai leaves and mix until combined. Using a silver spoon mix in the chocolate chips until just combined. Roll into balls, place on tray and gently flatten. Bake for 11-14 minutes, depending on size of your bickie. Cool on trays for 5 minutes before removing to wire racks to cool completely.